Bet someone’s not renewing their subscription to the Economist. The weekly magazine appears to have had quite enough of Donald Trump, thank you very much. It published a story today declaring the president to be “politically inept, morally barren, and temperamentally unfit for office.” He’s probably not invited to sit at their lunch table, either. 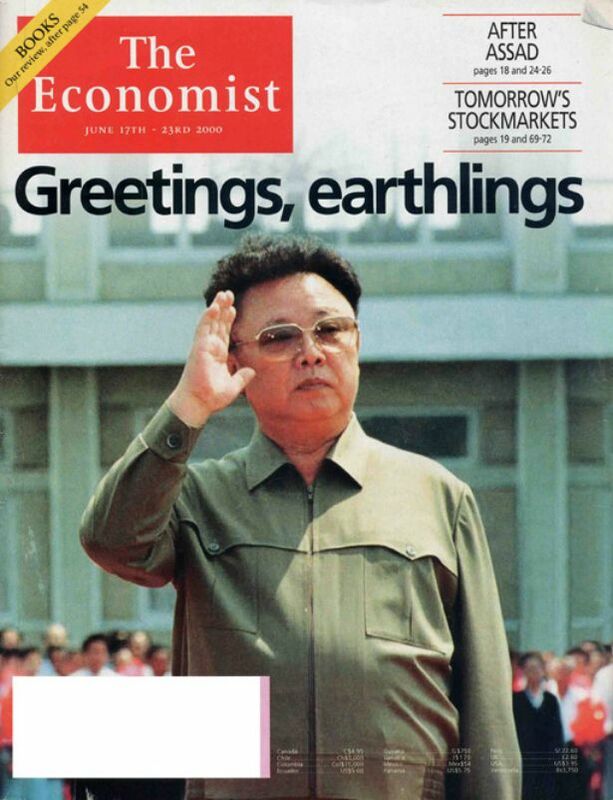 The magazine’s bluntness is not unprecedented—after all, this is the publication that featured Kim Jong Il on the cover under the headline “Greetings, earthlings“—but it’s especially blunt in this case. The cover features an illustration of Trump yelling into a bullhorn shaped like a KKK hood. It’s part of a pattern, though: Unflattering Trump-themed covers have been pretty common for the Economist since January.